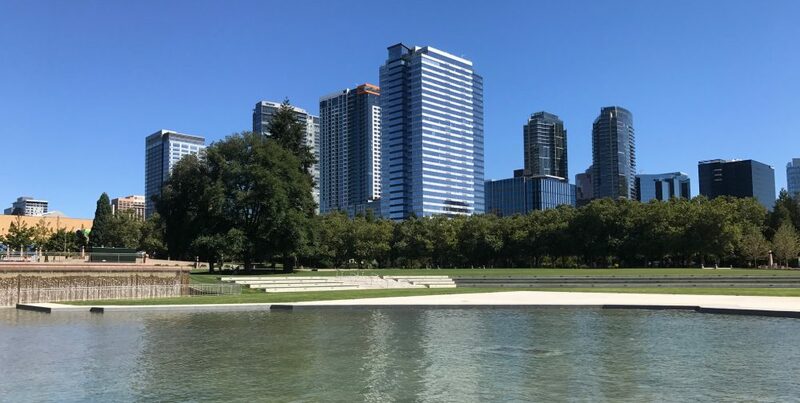 In the January edition of Bellevue’s Lake to Lake video newsletter you can take a look at what’s been happening at the expansion of the Meydenbauer Bay waterfront park. The long planned waterfront connection will have 700′ of lakefront with a larger swimming beach, bath house, pedestrian pier and connection to the public marina. Terraced park grounds will provide lake vistas and plenty of space for picnics and lounging. When complete the park will offer rentals for non-motorized boats and stand-up paddle boards. The new waterfront park will connect with the city’s Downtown Park creating easy access to the city’s lakefront parks and marina. Phase 1 of the park is expected to be open to the public 4th quarter 2018. The Memorial Day holiday weekend marks the beginning of summer and outdoor activities. After the brutal winter and spring weather, any opportunity for outdoor activity will be welcome. While many people have holiday plans to visit ocean or mountain destinations, don’t forget there’s a lot to do in town. If you’re looking for some local activities here’s a partial list of what’s available in Bellevue. With nearly 100 parks and recreation facilities, Bellevue offers plenty of green space. The city maintains 96 miles of trails and six beachfront parks. Shop til you drop at Bellevue Square, Lincoln Square, Old Main Street or The Bravern. You’ll find world class shopping, dozens and dozens of fine and casual dining options offering indoor and patio opportunities for lunch, dinner sweets, snacks and libations, cinemas, comedy and bowling. There’s no need to leave town to find something fun and interesting to do during the next 3 days – just make it a safe holiday weekend.